Your office pool? Online betting houses? Fantasy leagues? With the NCAA Basketball Tournament set to begin, you are probably getting your brackets ready for the office pool in the hopes of winning the pot collected from everyone throwing in a few bucks to make it interesting. The thing is, you and your coworkers are breaking the law. When is sports betting legal? In the United States, it is illegal to bet on sports in all but four states — Nevada, Delaware, Oregon, and Montana. Even there, bets can only be made in-person. But you may have seen websites advertising that they take bets on sports. Is that legal? That such websites are based offshore in places like Curaçao probably answers that question. As the New York Times detailed, placing bets with such shady sites requires complicated schemes for transferring funds and there's no guarantee that you will ever seeing your winnings. So while places like BetOnline.com may tout the reasoning of "because you can," we say don't do it because you can get arrested. But what about fantasy sports? 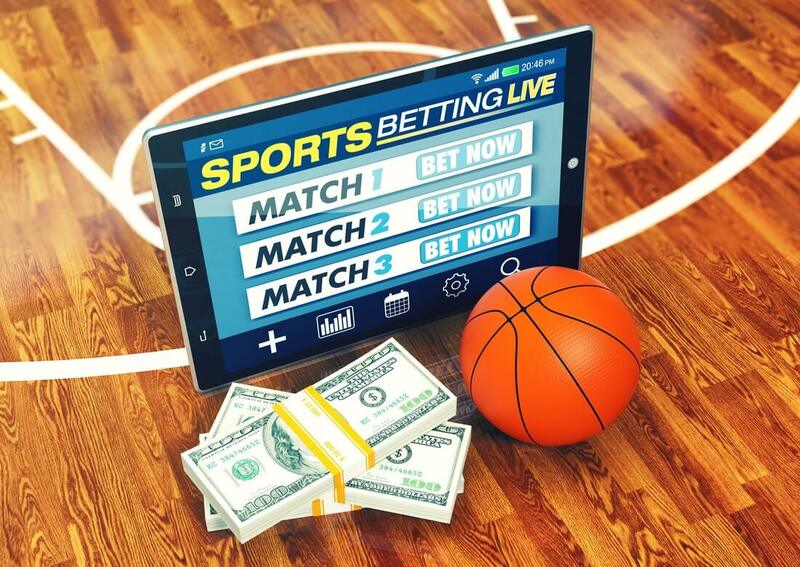 Perhaps further confusing the issue of the legality of sports betting is the phenomenon of online fantasy sports. Once a kind of Dungeons & Dragons for sports geeks, it is now big business, with FanDuel and DraftKings, the industry's big players (no pun intended), valued at well over a $1 billion each. In fantasy sports, fans draft players onto their virtual teams, and the fan whose collection of players performs the best wins the pot. Such fantasies were once played out over the course of a season, but with the advent of daily competitions and increased number of competition and bets, it's become very lucrative for these sites. In the eyes of the government, what separates fantasy betting from traditional bets is that the latter is just luck and chance, while the former involves skill (due to the assembling of your fantasy team). The argument can certainly be made, though, that there is just as much uncertainty and chance involved as the results are based on actual sports, especially when one looks at the actual odds of winning. One study revealed that in half a season of Major League Baseball, 91% of fantasy winnings were won by just 1.3% of players. So the bottom line is that in the United States, sports betting is only legal in very specified forms. If you want to keep your nose clean, head to Vegas to place your bet or enter one of the contests online, like ESPN's Tournament Challenge, awarding prizes. Stephen Slaybaugh is a senior staff writer at dealnews. Republished with permission.